The focus knob of B20 is big enough for reliable and precise operating. The rotation range is limited to 180 degrees relieving from the necessity to twist hands while reaching the limit positions. The housing is made of hardened aluminium alloy and covered with hard anode layer to protect it from scratches. 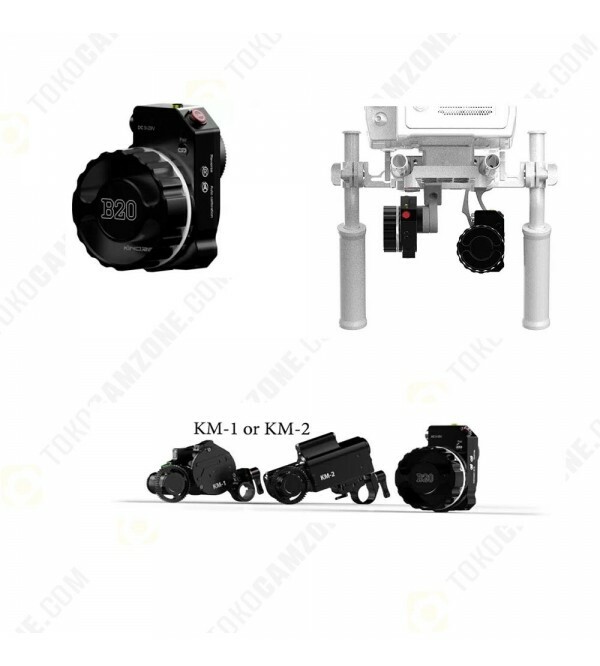 To provide more flexibility and allow mounting the follow focus on various gimbals, B20 has a standard rosette mount with 1/4″ thread. Using a Super Clamp or any similar grip equipment, setup and position B20 the way fits you the most. Note that the rotation range of the B20 knob is limited within 180 degrees – it is done on purpose so you wouldn’t have to twist your hand. In some cases it is good to have a smaller ratio of the motor rotation speed. To solve this, use the Manual Calibration function of the KM1 and KM2 motors to clip the lens range (see the User Guide to learn more).